DescriptionJazz up your champagne, cocktails and soft drinks with these candy striped rose gold paper straws. Fun for all ages, leave a jar of straws on your drinks table for your guests to help themselves to. Each pack contains 25 Straws. 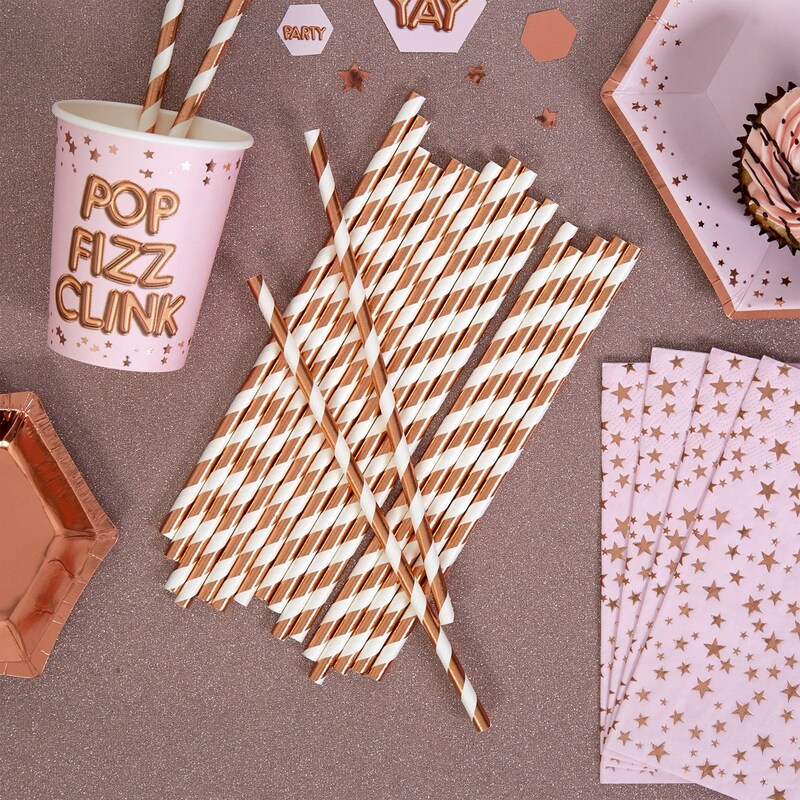 Jazz up your champagne, cocktails and soft drinks with these candy striped rose gold paper straws. Fun for all ages, leave a jar of straws on your drinks table for your guests to help themselves to. Each pack contains 25 Straws.